An array of contractors working to decontaminate the Hanford nuclear weapons site near Richland, Washington, on Friday became the target of a Justice Department suit alleging false claims and kickbacks in their billings to the Energy Department. The suit also alleges that the defendants’ claims for what the government calls inflated rates violated the False Claims Act. The companies deny the charges. MSA’s multi-billion dollar contract with the Energy Department, signed in 2010, required the alliance to provide numerous site-wide services to the department and to other contractors involved in management and technology services needed for the massive clean-up ongoing at the site, which dates to World War II. MSA awarded, without competition, according to Justice, a $232 million subcontract for work from Jan.1, 2010, through June 2016. 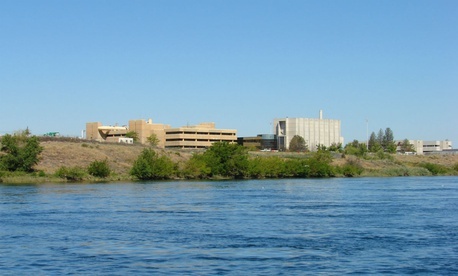 According to its website, MSA, which was previously owned in part by Lockheed, provides emergency response and training—including the Hanford Fire Department and Hanford Patrol operations—as well as environmental integration and land management; fleet and road maintenance; water and electric utilities; cyber security and information management. The alliance is now made up of Leidos and Centerra Group. The complaint also alleges that Lockheed Martin Corp., in violation of the Anti-Kickback Act, made payments of more than $1 million to Armijo, a vice president at the company who “also served as a president of MSA during the time period in question,” as well as to other MSA executives “in order to obtain improper favorable treatment from MSA with respect to the award of the [Lockheed Martin Services Inc.] subcontract at the inflated rates,” Justice said. Armijo left the alliance in 2015 to move to suburban Maryland and “do more corporate work for Lockheed,” the alliance said in a release at the time. “Where Congress has allocated money for specific purposes, we will not tolerate unlawful conduct by contractors who seek to enhance their profits at the expense of taxpayers,” said Assistant Attorney General Jody Hunt of the Civil Division. Joe Franco, Energy’s deputy manager for the Richland Operations Office at Hanford, said his department had alerted Energy’s inspector general and the department to the problems.